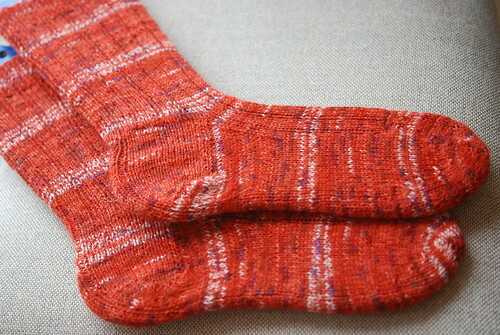 Madder Ribbed Sock by Nancy Bush from Knitting Vintage Socks, knit for HPKCHC Arithmancy OWL in Schachenmayr nomotta Regia City Color. Started June 8, 2012; completed June 15, 2012. 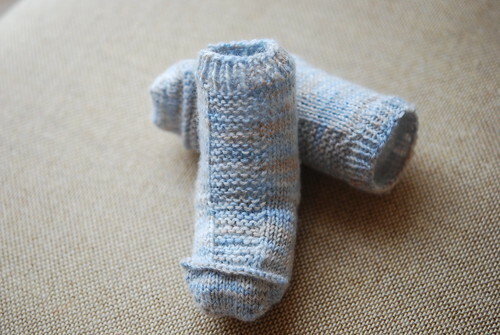 Garter Stripe Baby Socks by Jennifer Hoel, knit in Sandnes Garn Lanett. Started June 15, 2012; completed June 16, 2012. 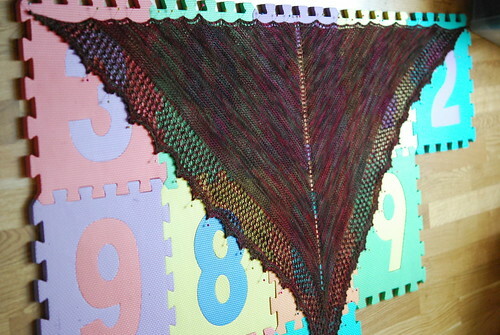 Pepita by Martina Behm, knit in Garnstudio DROPS Fabel. Started June 16, 2012; completed June 23, 2012. 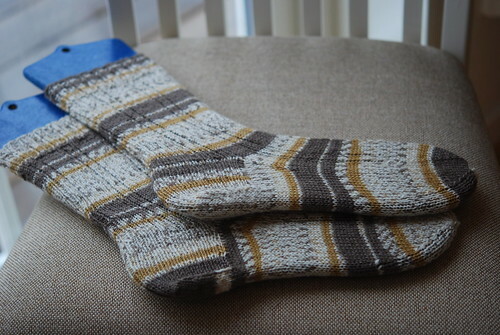 Lichen Ribbed Sock by Nancy Bush from Knitting Vintage Socks, knit for HPKCHC Arithmancy OWL in Lana Grossa Meilenweit 100 Arizona. Started June 23, 2012; completed June 26, 2012. 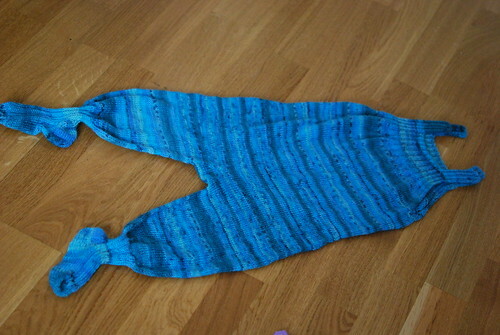 Eiku by Reeta Korhonen, knit in Malabrigo Yarn Sock. Started April 1, 2012; completed June 26, 2012.